April Fools! Except... 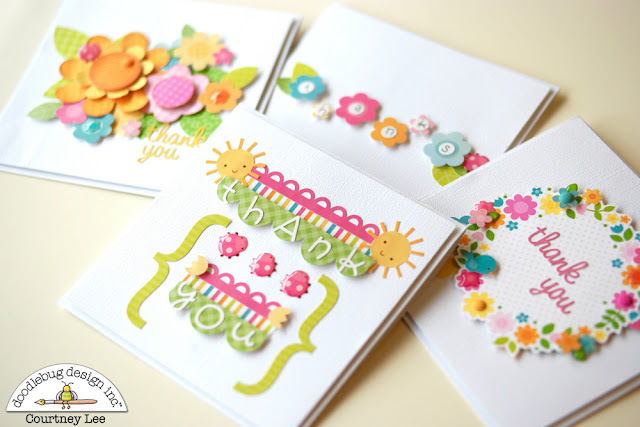 I'm not fooling anyone with these sweet super springy cards!!! 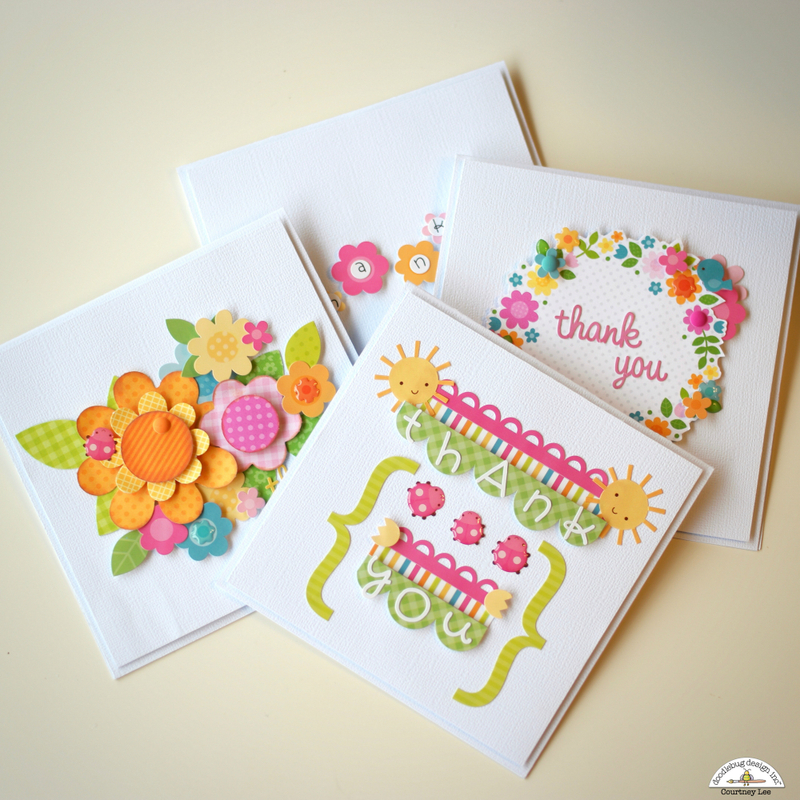 This is Courtney Lee from Court's Crafts with some thank you cards using the new Spring Garden collection! The first thing I was instantly inspired by were the flowers. I knew I wanted to do a flower cluster. I didn't have a plan for this card at all. I started with the die cut orange flower on the left and worked towards the right not pressing anything down too firmly so I could lift and tuck new pieces as I went. I knew I wanted to get that adorable ladybug in, the shaped sprinkle flowers and definitely at least one of those awesome matte sprinkles. 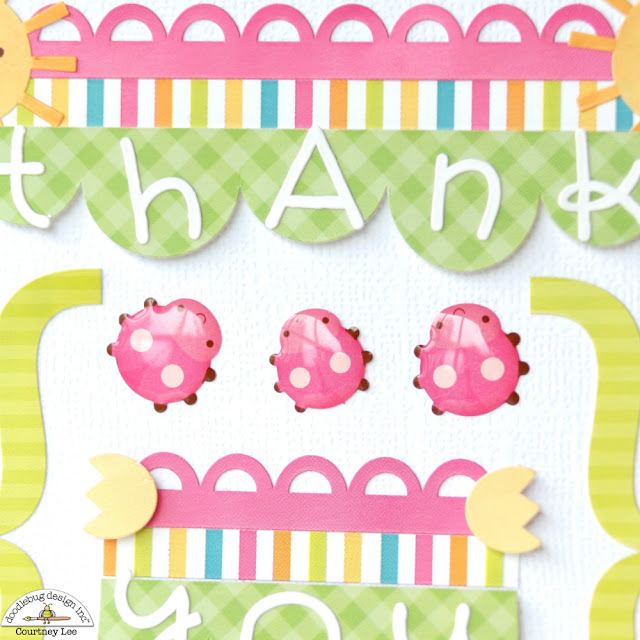 I finished it off with doodlebug's pre-done thank you stickers. Easy peasy. This one was a full concept. 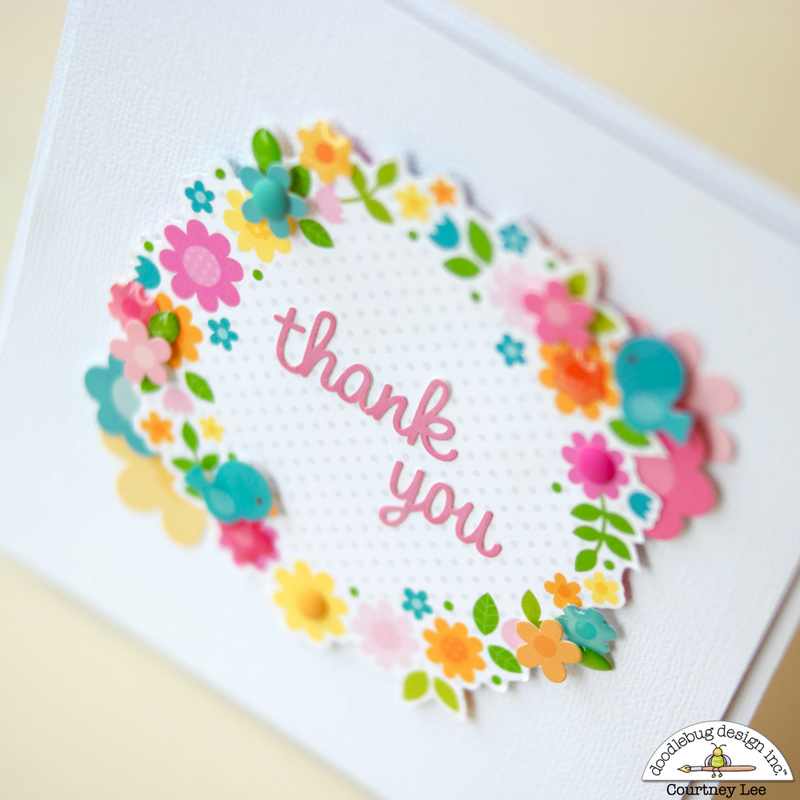 I thought about putting the teensy type letters in the middle of the flowers and spelled out the "thanks" using the icon stickers. I popped them all up and then the leaves and the ladybug were an afterthought but are my favorite additions! I loved all the fancy frills that came with this collection and wanted to show them off. They don't look straight in this picture but that is camera angle I promise. They are straight in real life! eek! haha. 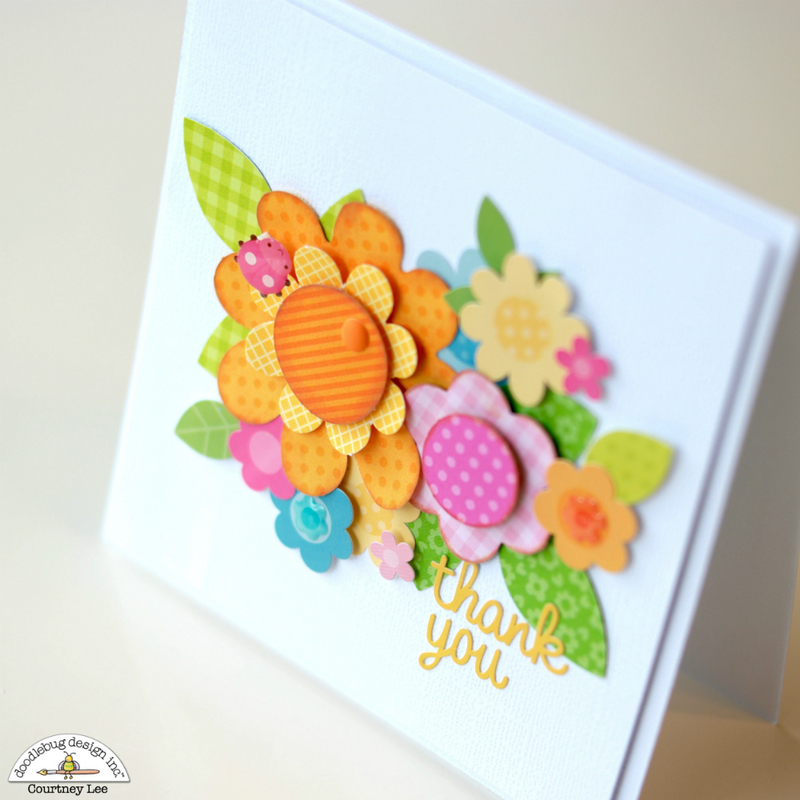 This gorgeous wreath is nestled in the 4x4 squares on the back of the garden flowers patterned paper. I hand cut around the wreath and then started building some extras onto it. I have to say how in love with those blue birds I am. Wait until you see them on my planner! 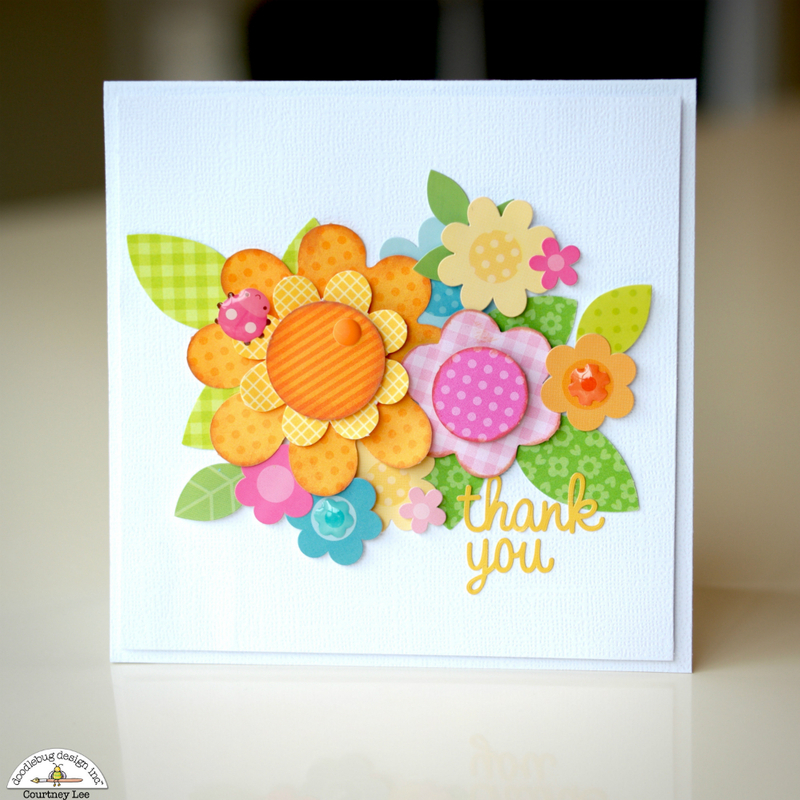 :) The spring flower enamel shapes are really the stunner of this wreath though. 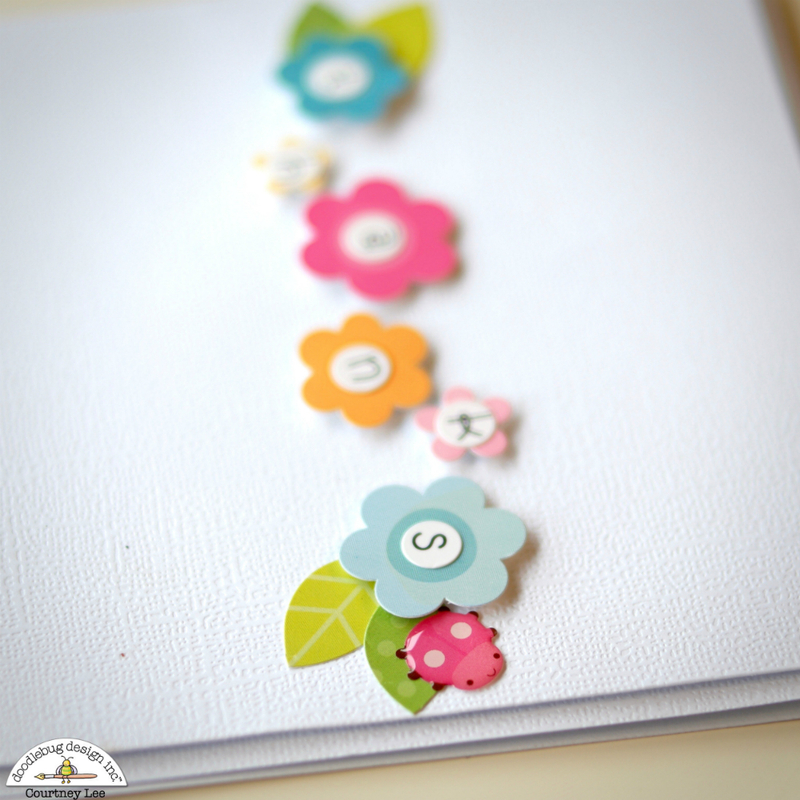 The spring flower sweet roll stickers are tucked behind the top right and bottom left of the wreath as well. And just in case you wanted to see them lined up, here they are. I hope this inspires you to make some springy happy cards using this fabulous fabulous collection!!! bright and fun and lovely! Love these! The cards are so springy and cheery! I love the added dimension! Thank you for sharing such talent! 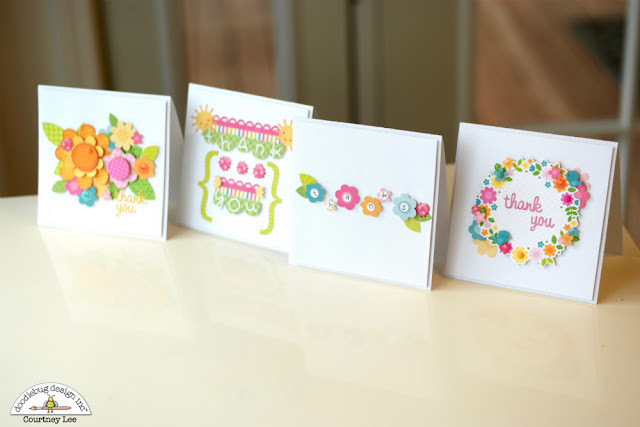 What a bright and cheerful set of cards! You've got me bumping the birdies and sunshine sweet rolls to the top of my wish list. How cute are they!? !